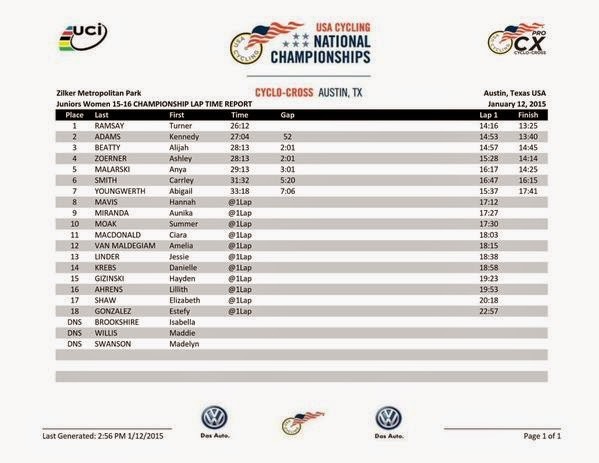 The truly impressive thing about the Intelligentsia Cup is how national the amateur races are. I'd say things after the race like "midwestern racers all ride like X," but then you look at the results and there's 16 states and 2 provinces in your category, so who the heck knows where thes dude you're talking about hail from. 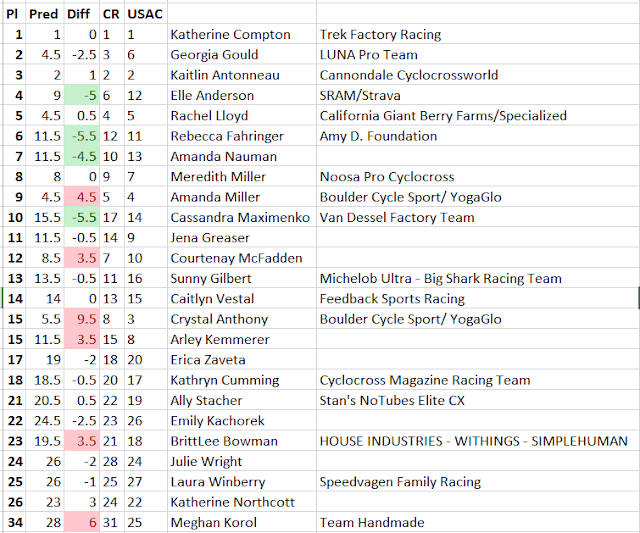 Oh, and the 2/3 women's fields were ridiculously big. Christin had 30-50 women in her race every day. I was all amped to mansplain field positioning when there's that many people ("well you see honey, you can't just ride from the back to the front in a lap like you can at home") but then she just rode in the top 10 wheels all day, every day so it didn't matter. I made some quickie vlogs for the social medias each night, but they of course don't tell the full and epic story of the cat 3 lifestyle. Six corners, dead flat. Fun course. We showed up before the team van because the van was stopping to "get ice." "Why do they need ice, it's not that hot," I thought. Our actual Cat 3 threat was the TofuPup, so he and I had a spirited prerace discussion about how I was going to help him win. The race started and I immediately started pedaling a little too hard to stay in the front because crits and hype and crits and hype and memories of being in shape. After about 15 minutes, a break went and by God's grace, his pupness was in the break. I spent the next 15 minutes doing awesome teammate things, being that guy riding 7th wheel who is never ever going to take a pull and just drags everyone down with his laziness. So when they rang the (field) prime bell at 3 to go, I saw a great chance to race one more lap, snag some cash, and be done racing two laps earlier than everyone else. I fought my way up to 4th wheel, launched my sprint and.... cramped so hard I swung out of the race and quit. Then I yelled at Mikey, and he got 3rd, which obviously he never could have done without my contributions. I was pretty traumatized by how badly I fell apart in the closing laps at Niles, and while I couldn't change the fact that I was maybe just not fit enough to mix it up at the front of a Cat 3 race for 45 minutes, I could change the amount of ice in contact with my body on a hot, humid day. So at Elmhurst I was an ice-sock king. Warmup sock AND race sock. Some dudes made fun of my sock, but they were just jealous. This course had longer straightaways than Niles and a pretty rad chicane, plus a small climb during the sprint. It seemed like more pedaling, but the corners were satisfyingly shreddable, and unlike the day before I raced as conservatively as possible. Sorry Mikey, guess you have to lead yourself out. As the race wound down, though, my biggest mistake ended up being sagging all the way back to 30th (?) at 3 to go during a prime rather than going nuclear to hold my spot. At the time I thought I was cleverly saving energy, but actually I was just putting myself behind a bunch of jacked-up cat 3s who were absolutely not going to be easy to pass in the final laps. Oops. I shot a bunch of gaps as the race wound down to try to fix my mess but it was too little, too late -- to really move up I also needed to be able to pedal harder than a freaking-out junior, which is way way too hard. 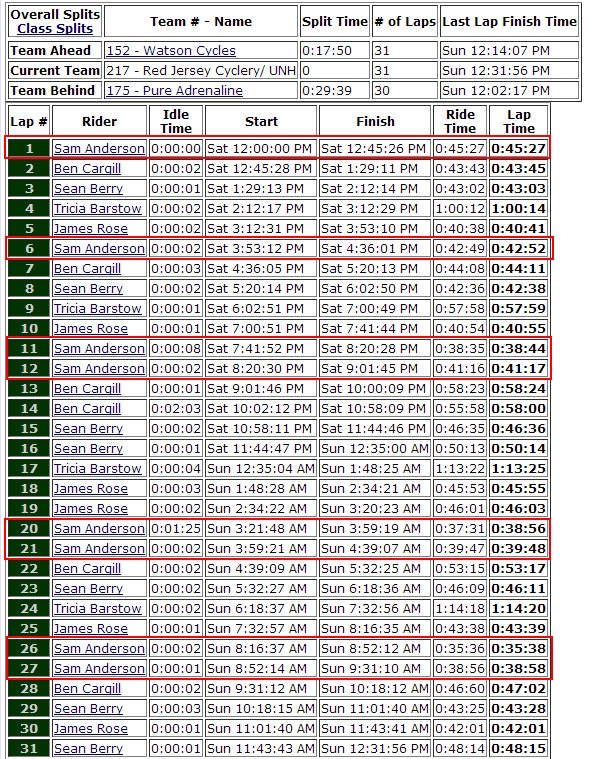 I finished 17th, which is a lot better than the previous day's DNF, I guess. This course was the most sneaky-hard crit I've ever done. Six corners on VERY narrow residential streets, with the only long straightaway being an uphill? It's a testament to how I'm not actually an expert at any of this that I looked at this course and thought "eh, should be fun." Christin forgot her Garmin, so we've been sharing one. I met her at turn 2 after her race, took the Garmin, rolled over to staging and lined up at the back. Whatever, no big deal, it will be fine. I spent the first lap staring at 50 butts and barely pedaling for the first 5 turns. Then we came out of turn six and started sprinting as hard as we could, because the guys at the front had been pedaling the entire time and were miles ahead of us. I broke 1000 watts on the finish straight at the end of lap one just trying to stay in the draft. Then we braked and coasted all the way back down to turn 6. Then I peaked at a mere 900 watts this lap, trying to stay in the draft as the back half of the race tried to catch up with people who were pedaling for the whole lap and not just 30% of it. I think at this point is when I realized that this was not going to be easy or fun. It didn't take long for guys to start popping off the back, and soon I was starting to wonder if I could even finish the race as I leapfrogged around exploding juniors to stay on the back of the field. Obviously a strong rider would have mustered all their matches and gotten the hell out of the back, but when the only place you can move up is a straightaway that you're already going stupid hard on every lap, it's really hard, okay? I swear! After what seemed like eternity, we finally got a lap where the paced completely eased on the finish straight, and I was able to punch through the wall of bodies ahead of me a bit and get into the center of the field. Of course, when things heated up for the finish I was still too gassed from my time in the washing machine at the back to actually do anything. I watched Mikey rip every turn two seconds ahead of me and get ninth, while I cruised in for 20th. The last cat 3 race is at 7pm on Sunday, and my flight was at 7:45, and I hadn't done a damn thing to help Mikey all week anyway. So I registered for the 3/4 35+ race that morning, hoping that an older and slower field would make me feel good about myself after getting more or less whooped on for 3 days straight. A break of 4 went after a prime at ~5 to go and that was that. I told myself that winning the field sprint required being 5th wheel out of the last turn, and guess where I was? 8th wheel. So I ate some extra wind catching up to the front of the sprint and by the time I tried to go past, I couldn't. Just like prerace Colin said. 2nd place in the field sprint was definitely on the table, but I missed that by completely mistiming my bike throw. If anyone has the video of me crossing the line, realizing I crossed the line, realizing how close it was, and THEN throwing my bike... it's okay, you can delete that. But anyway, the racing was fun, the courses were fun, the flight was cheap, and I really really want to come back next year. Thanks to everyone who puts on Intelligentsia -- knowing how I feel after a single day of race promoting, the idea of doing it ten times in a row is MIND BOGGLING.